One of the major benefits of drones is their ability to scout farm fields both quickly and efficiently. Rather than having growers evaluate fields manually on foot or by tractor, this technology allows farmers to gain immediate knowledge about the status of their fields in shorter periods of time. This information can be gathered whenever and wherever it is needed, minimizing the response time required to address issues and maintain crops. 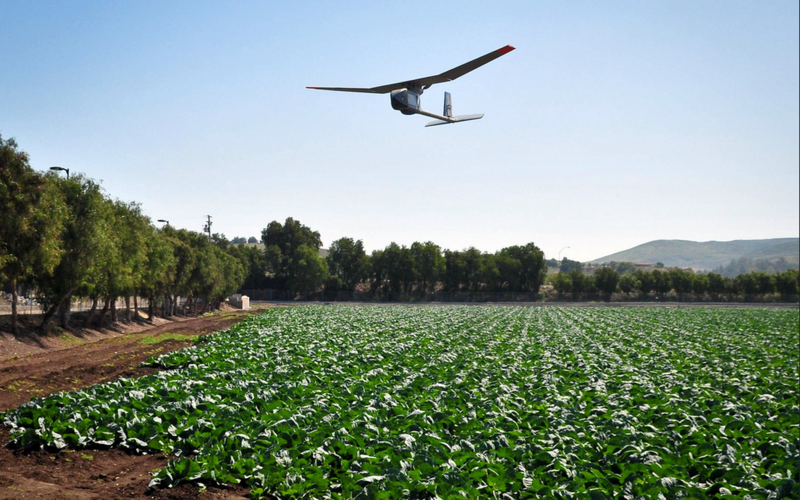 New drone technology is very effective at collecting data to help farmers improve crop health. 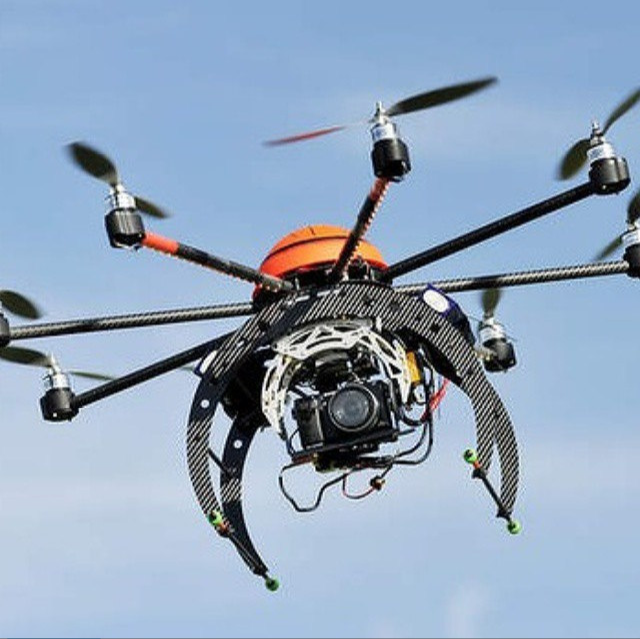 Equipped with sensors, drones flying over a field can collect plant height measurements by gathering range information from the plant canopy and the ground below. By measuring near infrared wavelengths through a multispectral sensor, drones can also create vegetation index images, indicating which plants are healthy and absorbing maximum sunlight. Drones also create satellite maps that can help farmers make decisions about fertilizer – a major concern of farmers, as fertilizer represents up to 50 percent of input costs. By using high-tech sensors to absorb near infrared wavelengths, drones make maps that can show where phosphorous and nitrogen might be needed – or where there is an excess of nutrients. In this way, more nutrients are being applied where they are needed most, as more fertilizer is absorbed by plants when it is applied precisely. This level of detail can help farmers increase production and efficiencies that lead to higher yields. Thermal cameras are able to detect cooler, well-watered field regions as well as dry hot patches. Farmers can use this data to adjust field irrigation and avoid wasting excess water. This ability to increase water optimization is particularly valuable in drought-stricken areas, such as California. And by increasing water and fertilizer efficiency, drone technology also helps reduce excess fertilizer that runs off into nearby rivers and streams. Less runoff decreases the algal blooms and dead zones in our water systems. Most drones currently available for use in the agriculture industry are very costly. However, with new developments and further innovation, drones may start to prove their value in agriculture. This entry was posted in fertilizer, Sustainable Agriculture, western water and tagged agriculture, algal bloom, california, cameras, crops, dead zones, drones, efficiency, Federal Aviation Administration, fertilizer, runoff, sustainability, technology, vegetation, water quality. Bookmark the permalink. Both comments and trackbacks are currently closed. Great insight into this new technology! Excellent article on an exciting technological application.